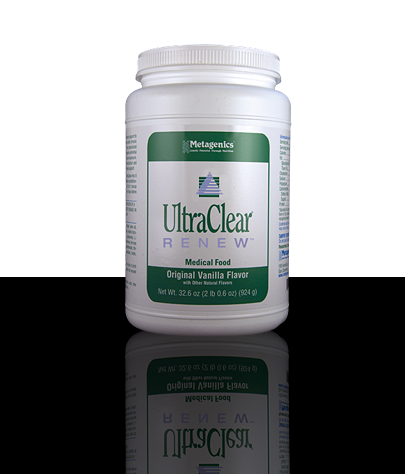 UltraClear RENEW™ is a medical food formulated to provide specialized nutritional support to help address altered pain signaling and neuromuscular function in patients with fibromyalgia. UltraClear RENEW is designed for individuals who may benefit from additional support for detoxification function, and features an array of nutrients in a low-allergen-potential rice protein base to support Phase II liver detoxification. In preliminary research with a small number of fibromyalgia patients with dental amalgams, administration of UltraClear RENEW was associated with significant decreases in FIQ (Fibromyalgia Impact Questionnaire) scores, including pain and stiffness. Helps to address altered pain signaling. Designed to support healthy Phase I and Phase II liver detoxification function.